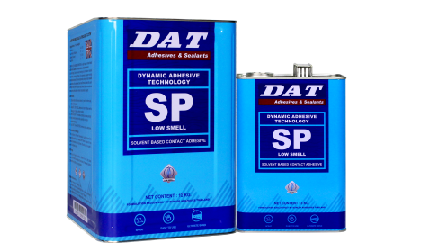 A high quality SBR adhesive suitable for the Furniture Industry. 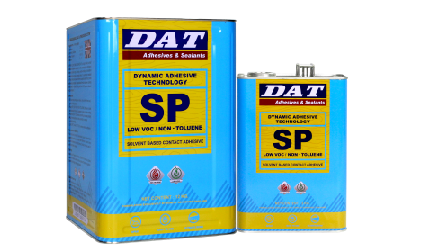 SP8 styrene block co-polymer is a high quality solvent-based adhesive designed for bonding a variety of substrates. 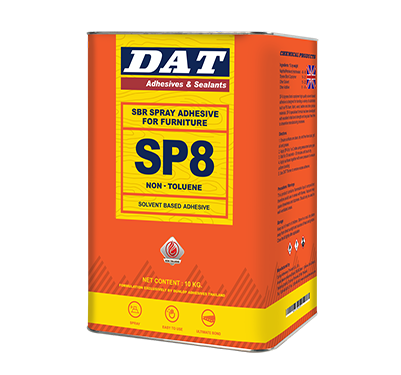 SP8’s specialised formula has been developed with excellent initial bond strength and long tack free time to streamline manufacturing processes. 2. 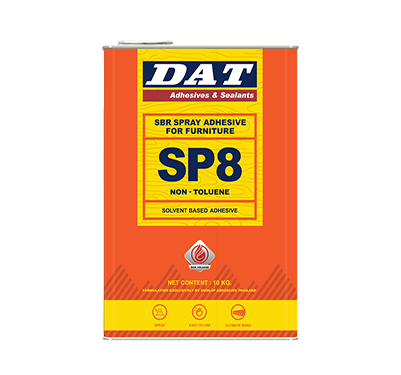 Apply SP8 Adhesive to 1 or 2 sides using a pressurized spray gun. 3. Allow to dry for 1-45 minutes until touch dry. 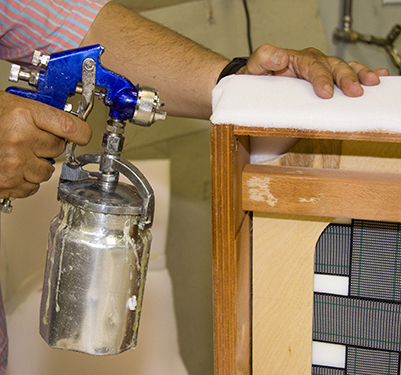 5.Use DAT Thinner to remove excess adhesive.